Nitty-gritty. 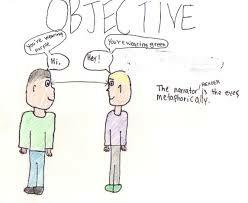 : MY OBJECTIVE VIEW ...I THINK. MY OBJECTIVE VIEW ...I THINK. I was sad when I read that another wife has bite the dust. My condolences to the bereaved and the departed rest with the Lord peacefully Amen. I had so wanted to talk about marriages in diaspora for quite a while, but I continued pushing the urge away and saving it in the draft because I would tell myself, it is not yet time. But with the recent happenings, it gives me the right platform to present my objective view...i think. When I arrived on the Land of the Brave and Liberty 2 years ago, the first question I was asked by a 9ja was; 'What do you want to do?' 'Teaching!' I replied excitedly. There was a surprise look on her face as she asked; 'Teaching?' 'Yes!' I answered. 'Why?'... There is no money in it!' She exclaimed. 'Because I have a passion for it!' I grinned widely as I spoke. 'Money comes first here, and not passion.......' She went on to explain to me the strategies Nigerian- immigrants adopt to survive in this great country called America. But I still refused to buck under the persuasive pressure from people around me because I knew what I wanted! It was only one guy that agreed with my decision and told me this nursing issue was over-rated! And there is an association of nurses who are mostly divorcees ... and he explained further. I refused to believe all he said, because I know the 9ja mentality of always blaming the wife when a marriage goes sour! I had cause to change my opinion when I observed the happenings amongst 2 couples: Both wives were the breadwinners and work along the medical line. Let me just say that my sympathy went to their husbands rather than my fellow women for doing a great task of taking care of the home. Their authoritative attitude also rubbed off on other 9jas around them who grumbled ... that their pastor continued to preach about submissiveness ... remember, I just 'got off the boat' and I was already getting some wrong vibes. But another 2 marriages which have the wives as the breadwinners ; One is a RN, the other a social worker, are 'humble' that their husbands sings their praises unlike the previous 2 all I heard were regrets! The truth of the matter is that some male Nigerian immigrants got their legal status through the 'hard-way' ... I mean they did s***! unlike some of us who got it delivered on a 'platter of gold'. My grouse is with these certain men who would travel back home with a calculative purpose to marry a young gal who would be very productive to them. Factors like age, educational qualification, family background and religion plays a role in choosing the perfect bride! The 'chosen' brides are lured with the 'milk and honey' story. Only for them to arrive and the reality dawns on them like a fist aimed at the mid-region! And remember what they say about 'who pays the piper, dictates the tunes right?' So she would continue to dance to the tune of the piper ...but the piper tend to forget they are now in a country whose norms and values differs from what is obtainable back home...should I call it selective amnesia? When these wives become empowered, the roles in the home are reversed. NOW! THIS IS WHERE THE PROBLEM ACTUALLY BEGINS!!!! Some husbands begin to taste their own pills and find out how bitter it is! Some wives hold the specter of power and wedge it with a mighty force! If any of the spouses refuses to bow down, the home would become a battle ground until a victor emerges! I know, as usual, there would be dis-agreement and agreement from different quarters which is ok with me ; for I believe in 'lets agree to dis-agree... with maturity. My friends, the truth is that, every action gets a reaction, be it positive or negative. If only we did things and treated people with kind and sincere hearts, we won't be facing many problems like we are doing now. When I rant how selfish we humans are, many tend to disagree with me. Thanks @ilola. I agree with you my sistah. Men generally have an ego - black or white - and they like to feel they are in control. Women generally like to feel protected and valued. When one comes to a new country, one must be prepared to adapt and one way to adapt might be to retrain so one is better placed to build a successful career. Unfortunately, a lot of Naija men refuse to retrain, leaving the wives to do so. Again, quite a lot of Naija men encourage their wives to go for extra shifts at work while they balance their jobs with 'Naija business'. Furthermore, a lot of Naija people are motivated to go for certain careers because of money not passion. For those who then feel this career is 'beneath' them, there is a constant struggle between what they wished to be - professionally - and what they actually are. 9JA-MUMMM! E-hug. So happy to see and hear from you my sistah. Yes! I remember the post well and I enjoyed reading it then and will do again. As always you delivered! Raising salient points. ...'but mentally still in Nigeria' ...so true! There is a joke that many 9jas save in Naira but spend in dollars! ... 'each case is unique'...what I have always said in my blog! Handle each case with it's own peculiarities! ...men ...have ego,...women ... like to feel protected and valued ... GBAM! ...'Naija business ... how many take off from the ground or are successful? ... the buck still ends up at the wife's table! ... 'beneath them ... struggle ... wished to be professional ...WELL CAPTURED! ...some are doing 2-3 survival jobs but dislike it, hence, the anger and depression, so they look up to their spouse with professional jobs to fill in that gap and meet that desire. ...focus on money ... ignore home ...NAILED IT! ... some want to make it all big and fast. But they forget the system discourages it with taxes and policies in place. ... become distant...do-it-all-attitude ... another bitter truth...if I can do everything, I DON'T NEED YOU! ....feel emasculated ...no longer the MAN of the house! UPSTAGED FROM HIS THRONE! Hence, the anger! Oh yes sistah! It is HA-RD work! But some like to be evasive about it and pretend it is all fairy tale... which I have tried to explain several times in my old posts that some mis-interpret! My mum always told me that if I like, I should cut my head and put it on a golden plate and give people...THEY WOULD NEVER BE PLEASED! Simply be FAIR in all your dealings. I KNOW what is workable for me and has being keeping my marriage going on...would be 14 year old by July, all to the glory of GOD. Sigh, life is hard!!! I just don't get these men who kill their wives...marriage is such hardwork, God help us all. Marriage simply needs the same effort people put into their career to grow. Love alone is not enough just as having a degree alone is not enough to make a success career. It needs patience, determination and diplomacy. Nigerians in America should check themselves. Whenever I am in the US, I have this feeling that most of them don't enjoy life. They think they do but they spend most of their waking moments working so they can pay mortgages for big houses they barely stay in, drive the biggest engines that compete in size with 18-wheelers etc. But it's all a cover-up of how they really feel inside. One day someone will snap and destroy the lives of many. I feel for the children caught in the middle of all these! ND biko pursue your teaching career whenever you get the chance. Don't let them initiate you into the 21-hour a day work culture. PS. Have you read anywhere that the deceased was the bread winner in her home? I notice that people say/assume that's why she was killed but I'm yet to read the reason behind the murder in a major news site. Sorry Flo for replying late, my prince is so active nowadays, and am teaching him to sit. To your question first; I am yet to read the reasons behind the murder, nor do I know if she was the bread-winner. Nah true you talk o! Oh yes! am pursuing my teaching course. I refuse to join the bandwagon!